A light and fluffy whipped butter that is great as a flavorful spread. 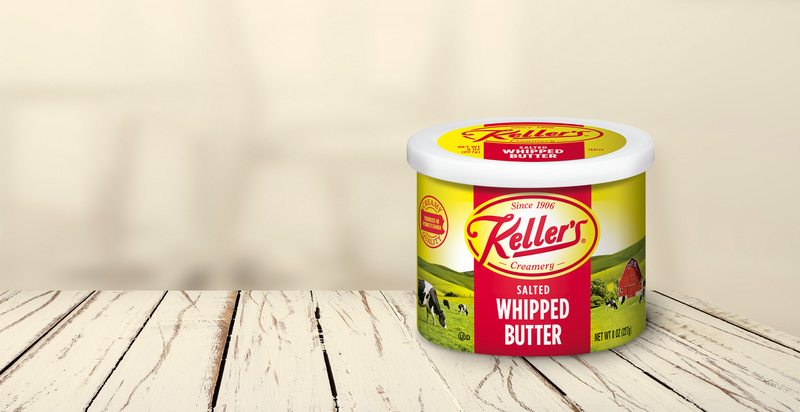 Keller’s Creamery Salted Whipped Butter is fresh and creamy, making it a perfect addition to any food. With only 60 calories per serving, you can enjoy this topping guilt-free.